Dual coil springs to allow the mast with the rigid signs to flex and bend in windy conditions. Weight 42 lbs. / 48 lbs.w/rigid assm. The SZ-460-2S is perfect for DOT’s, Road Pavers, Road Contractors, Signal Crews & Bridge Contractors. 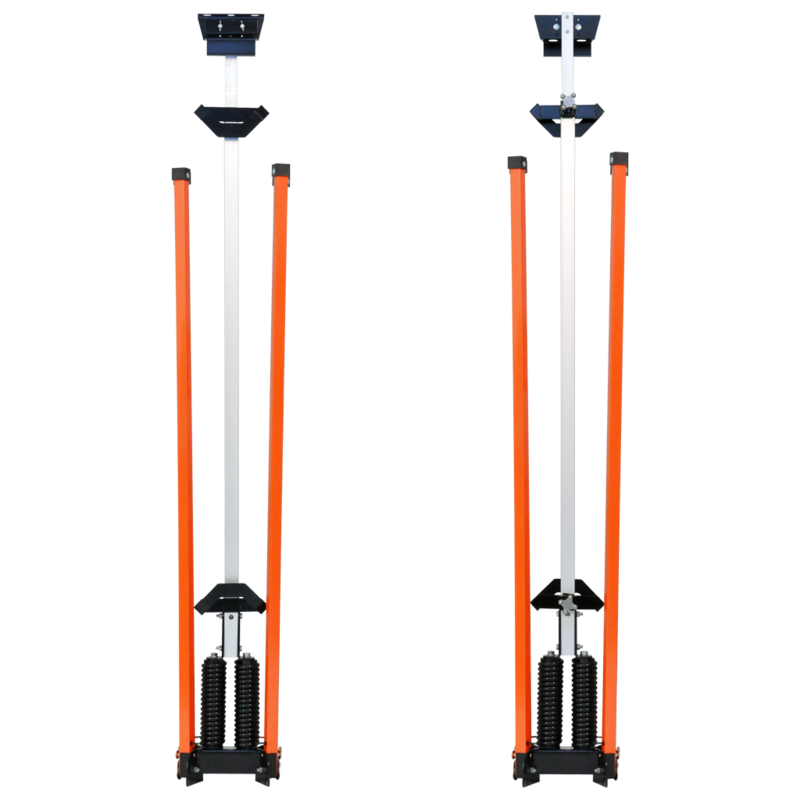 Bright orange, powder coated legs allow the SZ-460-2S sign stand to be seen from highways to city sidewalks. Like the SZ-460, the SZ-460-2S has a bottom height of 5'. The signs are held above the ground for maximum visibility and height meets the minimum height requirement as set forth in the MANUAL ON UNIFORM TRAFFIC CONTROL DEVICES (MUTCD). With it's heavy-duty dual springs and extended legs design it can withstand elements and give you years of use without developing memory or sag.